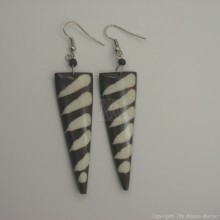 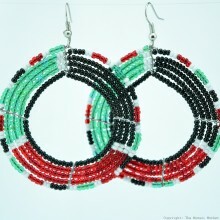 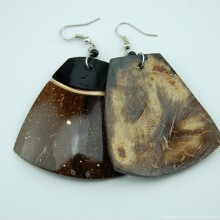 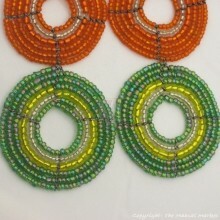 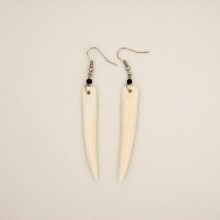 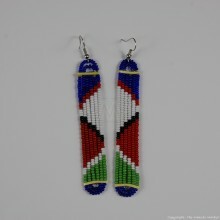 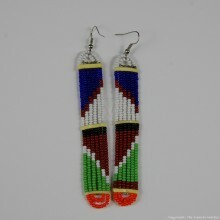 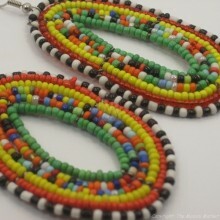 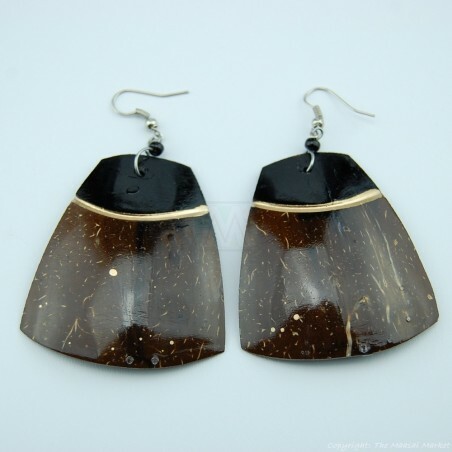 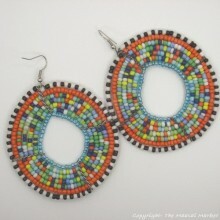 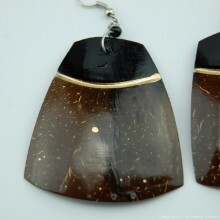 These earrings are handmade in Kenya. 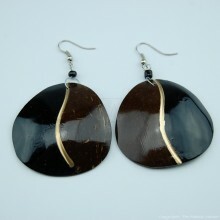 They are made of coconut shell. 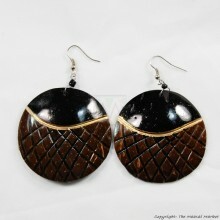 The coconut shell is cut into the desired shape, and the design etched on, painted and polished . 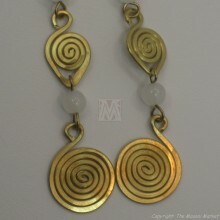 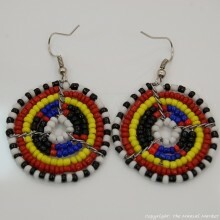 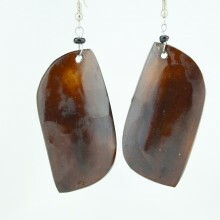 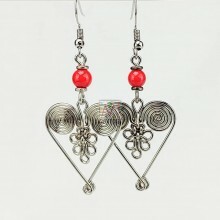 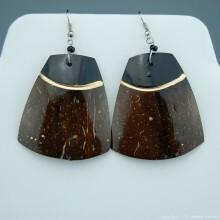 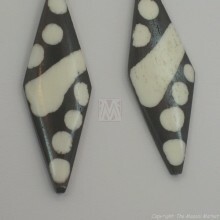 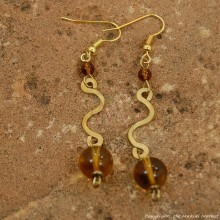 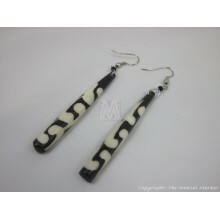 The pair you will get might look slightly different from the one in the pictures because they are handmade. 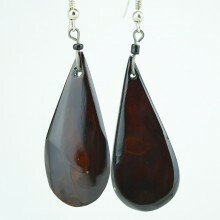 They also do slightly vary in size, some pairs larger than others. 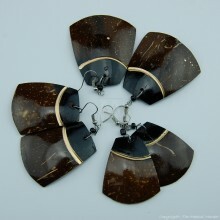 The last picture shows a few pairs to give you an idea of how they vary.